Our range of products include phosphating chemical, metal finishing chemicals, metal surface treatment chemicals, surface treatment chemical, rust preventing chemical and corrosion remover. The Phosphating Chemical for mild steel (crc sheets), cast iron are especially formulated for removal of oil, grease, rust and simultaneously for producing a thin iron phosphate or zinc phosphate coating on the metal surface to avoid further corrosion or rusting. Chemtex offered product Phosphating Chemical can effectively be used as line deruster and in-process cleaner prior to painting or any other similar metal treatment operations. Chemtex’s Metal Finishing Chemicals consist of a whole range of Pickling Inhibitors and Metal Phosphating. 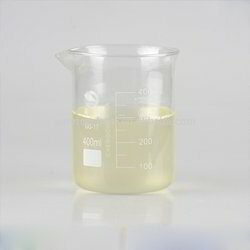 Acid Pickling Inhibitor is a strong foaming inhibitor for use batch pickling method for all kinds of steel and alloys at any concentration. The Phosphating Chemical For Mild Steel (CRC Sheets), Cast Iron Are Especially Formulated For Removal of Oil, Grease, Rust And Simultaneously To Produce A Thin Iron Phosphate Or Zinc Phosphate Coating On The Metal Surface To Avoid Further Corrosion Or Rusting. CHEMTEX'S Phosphating Can Effectively Be Used As Line Deruster And In Process Cleaner Prior To Painting Or Any Other Similar Metal Treatment Operations. There are a few sorts of surface treatment as a part of the surface treatment process. • Covering with Oxides: Coatings done by the assistance of oxides are generally corrosion products. These treatments are typically done through electrochemical reactions, heat, or chemicals. • Chromate Covering: Chromate coatings can be connected on cadmium, zinc, magnesium and aluminum as a result of their resistance towards climatic consumption. These coatings are widely utilized for protecting household items. • Phosphate Covering: Generally, phosphate coatings are connected on cast iron, low-combination steel and carbon steel. However, it can be coated on cadmium, tin, aluminum and zinc as well. Chemtex manufactures a wide range of Metal Surface Treatment Chemicals that modifies the metal surface for better surface finish such as derusting, phosphating and passivation. Various procedures are there for the metal surface treatment. Metal surface treatment involving Metal Surface Treatment Chemicals, is a process where metal parts to be painted are prepared. Coatings Pretreatment is the name commonly referred for preparation. The preparation involves creating a barrier for protecting the metal against corrosive environment. For creating a proper metal surface treatment, the Metal Surface Treatment Chemicals or film must impart equal potential to the surface and neutralize the possible anodic and cathodic corrosion areas so that it can provide an absorptive base for adhesion to finishes, like paints. • Non-ionic surfactants like Alcohol, ether or ethoxylate. Chemtex manufactures a wide range of Surface treatment chemicals that modifies the metal surface for better surface finish such as derusting, phosphating and passivation. Various procedures are there for the metal surface treatment. Metal surface treatment involving Metal Surface Treatment Chemicals, is a process where metal parts to be painted are prepared. 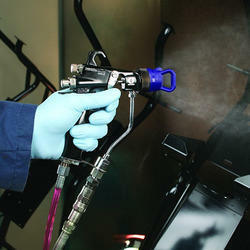 Coatings Pretreatment is the name commonly referred for preparation. The preparation involves creating a barrier for protecting the metal against corrosive environment. For creating a proper metal surface treatment, the Metal Surface Treatment Chemicals or film must impart equal potential to the surface and neutralize the possible anodic and cathodic corrosion areas so that it can provide an absorptive base for adhesion to finishes, like paints. Prevention of rust is the counteractive action or defer of rusting of iron and steel objects, or the lasting assurance against erosion. Depending upon mechanical and environmental conditions, the degradation may not be stopped completely, unless the process is periodically repeated. The term is especially utilized as a part of the vehicles business. Chemtex Speciality Limited is involved in manufacturing a range of rust preventive compounds that control the rusting of metals in various industries. Rust Preventing Chemical serves as an effective product that prevents the infiltration of rust promoting nuclei into the metal components. This oil forms an effective barrier on the metal surface, between the metal surface and the atmosphere. Rust Preventive Oil can be applied by dip, brush or spray. 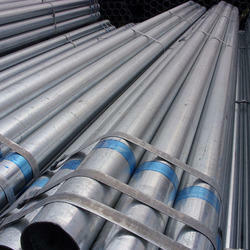 It is mostly used in places where corrosion inhibition is required before use. Chemtex’s Derusting range of chemicals that removes rusting of metals in various industries. Our range of water based and biodegradable derusting compounds prove highly efficient even at room temperature. 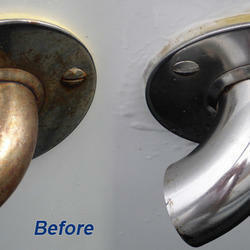 Chemtex’s Corrosion Remover effectively removes rust from Iron, Steel and most painted surfaces. It contains acids, surfactant emulsifiers and metal corrosion inhibitors that help remove rust quickly and effectively without corroding metal surface. Chemtex's Pickling Inhibitor is an acidic mix of exclusive corrosion inhibitors, and other tailored chemicals dealing specifically with the acids involved, and other surfactants. Pickling Inhibitor is intended to repress the corrosive acid attacks on steel, copper and other composites in industrial cleaning and other corrosive pickling operations. It is much low on danger yet extremely compelling in consumption restraint properties with above 99% hindrance on the majority of the ferrous metals. Pickling is a metal surface treatment used to evacuate impurities, like stains, inorganic contaminants, rust or scale from ferrous metals, copper, valuable metals and aluminum composites. It is usually used to descale or clean steel in different steel making processes. It efficiently removes welding spots and oxide layer from stainless steel. Chemtex Speciality Limited is an ISO 9001, ISO 14001 and OHSAS 18001 certified company that specializes in the manufacturing of pickling paste products. It has also established itself to be among world's renowned multipurpose chemical exporter having its facility in India. Chemtex's greatest business vitality and strength are its technical and manufacturing knowledge and a well developed technical service team. Pickling helps in removing a thin surface layer from the stainless by using an acid solution, which is usually a hydrofluoric and nitric acid mixture. Pickling of metals will evacuate embedded iron deposits, heat tin and weld scale. It has quality to expel free iron sullying from the stainless steel surfaces all alone, significantly utilized as a part of steel industry. CHEMTEX'S Passivation Chemical is an unique passivating agent for closed loop systems. It plays a vital role in keeping the closed loop system operating efficiently. It effectively removes foulants such as dirt, solder deposits, corrosion products, water derived mineral deposits, grease, oil films or foulants etc. 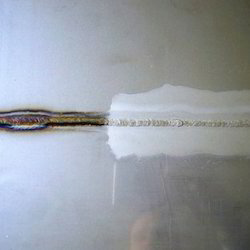 Passivation With CHEMTEX'S Passivation Chemical creates a light coat of a protective material, such as metal oxide, on the system metal that ensure optimum system performance, by reducing the chances of metal oxidation or corrosion (rusting), and retains the heat transfer efficiency close to design. 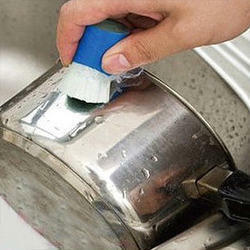 • Effective cleaning and removal of foulants with ease. • Promotes power saving by improving heat transfer in the chiller. 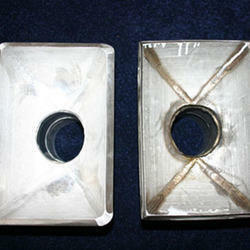 • Modifies metal surface for corrosion protection. • Removes foreign metal contaminants to prevent bi-metallic corrosion cell. 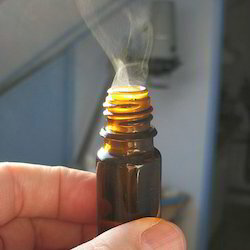 • Inhibits flash rusting after descaling. 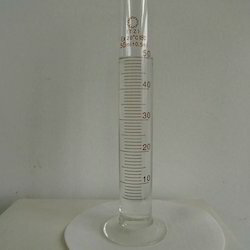 • Retains brine or water properties and characteristics for a longer period. • Biodegradable and easy to dispose. Chemtex Speciality Limited manufactured product Pickling Paste serves as a special formulation that has been designed to bring about the pickling of stainless steel surface. When administered, this product helps in the efficient removal of welding spots and oxide layer from stainless steel. In addition, pickling will remove embedded iron, heat tin and weld scale. Whereas passivation is involving nitric acid in the solution, which can take place both in successions and simultaneously. Nitric acid is a strong oxidizing agent used for chemical passivation. It has the required strength to remove free iron from the stainless steel surfaces on its own, majorly used in steel industry. The products which we cater under this category are Pickling Paste, Passivation Gel, Stainless Steel Welding Spot Removing Paste, Acid Neutralizing and Passivating Chemical and Water or Brine System Cleaning & Passivating Agent. 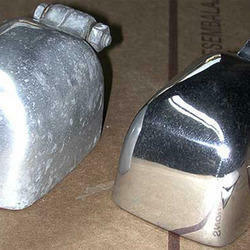 Polishing and buffing are the last process for smoothing metal surface using abrasives. This procedure evacuates surface material, enhancing the surface and setting it up for buffing. This is for the most part a coarse operation including sandpaper and/or metal polishing compounds. Polishing may include expelling oxidation and enhancing quality of the metal by adding removing blurring, water soaked spots, sun spots or shadiness. 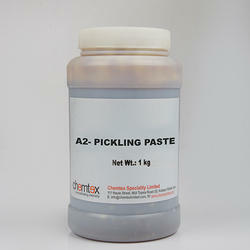 Chemtex's Stainless Steel Pickling Paste is an exceptional formulation for pickling of Stainless Steel surfaces. Application of the same efficiently removes welding spots and oxide layer from SS surfaces. CHEMTEX'S Stainless Steel Pickling Paste is applied on the SS surface and left for a time of 30 - 60 minutes depending up on the need, after which it can be cleaned with a wire brush and washed thoroughly with water. 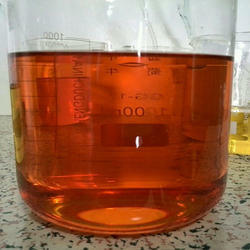 The surface appears clean, bright and glazy after application. Chemtex manufactured product Sulfamic Acid serves as a descalant that can be used for the removal of process scales and water from industrial equipments. Sulfamic Acid serves as a superior cleaner and a potential descalant. 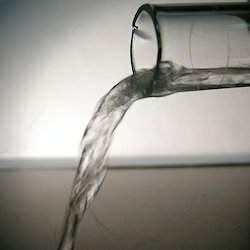 Its aqueous solution shows the tendency to be less corrosive towards metals than other mineral acids. 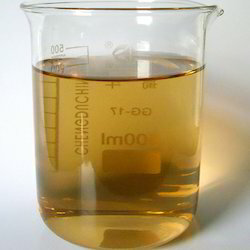 It appears to be odorless, non-hygroscopic stable acid which is mildly soluble in water. 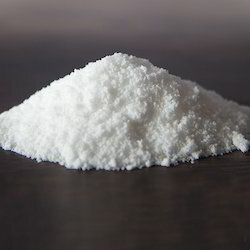 For a long time it is being used in the industrial sectors as cleaning agent and descaler due to its remarkable property of solubilizing of hard scale and other deposits. Furthermore, it can be used safely over equipments made of stainless steels as it avoids pitting or chloride induced stress corrosion cracking. 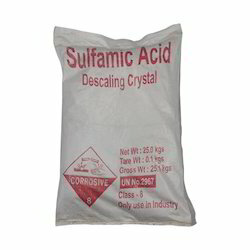 Sulfamic Acid can be developed from fuming sulfuric acid and urea. It serves the Paper Pulp Industry where it helps to prevent the degradation of pulp due to high temperature and permits bleaching. Apart from being a descaler, it also acts as a catalyst for esterification process and used as an ingredient in fire extinguishing media. It serves in the elimination of hard water scale, protein deposits, copper corrosion, beer and milk stones and light rust. It cuts through excessive grout from tiling and solubilizing efflorescence from floors and walls. It finds applications in many desalination plants to clean heat exchanger, cooling water system, demisters, etc. It can be safely used on steel, iron, glass, wood equipments and with precaution can be also used on galvanized metal surfaces, copper, and aluminium. Corrosion is a common problem encountered in crude oil industries carrying high impurities corrosive in nature and degrading all the metal components of pipelines, ﬂow lines, drilling bits, etc. With continual extraction of CO₂, H₂S, water, oil the equipment undergo corrosion resulting in loss of mechanical properties of the materials and eventually leading to metal loss. It protects both ferrous and non-ferrous metals like stainless steel, copper, aluminium, brass, copper, zinc, tin, bronze, and lead. For parts that need longer term protection (months to years) or those stored in severe environmental conditions (i.e. outside storage) oil-based inhibitors are preferred due to their heavy film and the water rejecting properties they possess. The protective coating, they form varies (semi-hard, soft, oily, transparent, colored) with the specific product. Looking for Metal Treatment Chemicals ?